Wow, one week (correction - 1 Day!) and counting. October 6th will be here before we know it! The response to this years show has been well ahead of the curve compared to past years. We sold out of dealer space early, real early, this year and have a pretty healthy waiting list. We had to add display spaces to accomodate demand this year. And inquiries from the general public regarding our appraisal and onsite auction services continue to stream in. 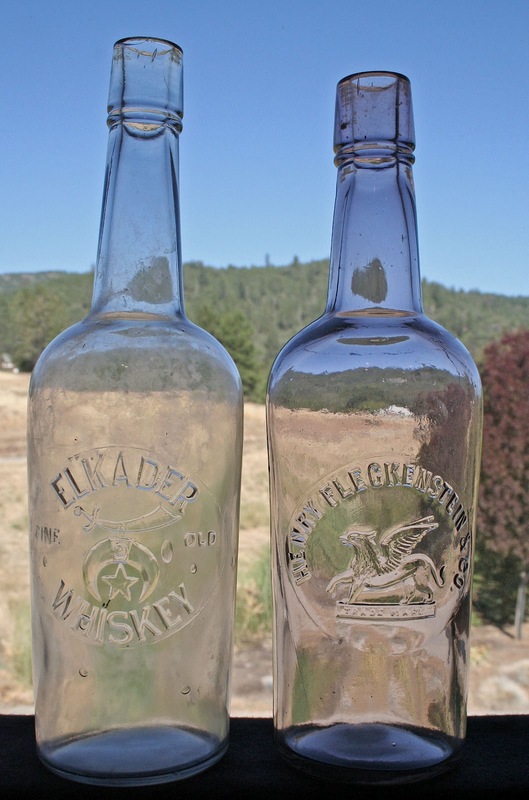 One gentleman in Northern California inquired about auctioning "100 insulators and well over 200 bottles, all of which are in excellent condition". 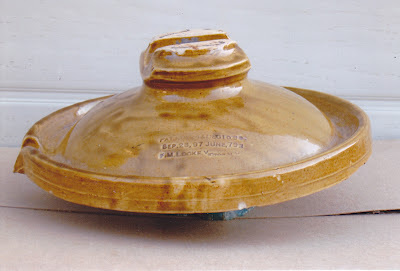 Another person is consigning a Radam's Microbe Killer jug. And yet another has committed to auctioning an amber Fleckenstein and Meyer flask. I received some photos today from a local collector who is downsizing his collection and is bringing the following items to auction. 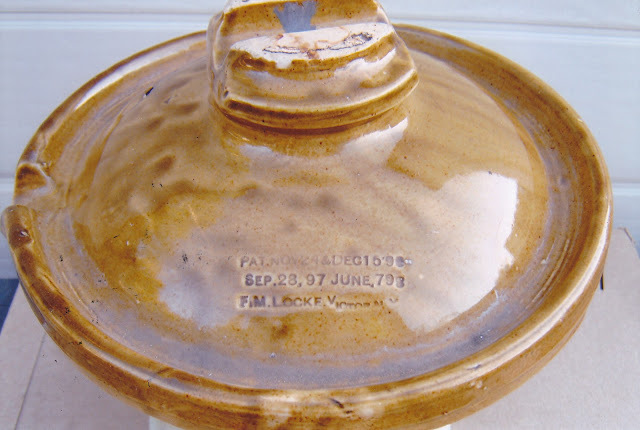 For the insulator crowd there's a Locke porcelain. 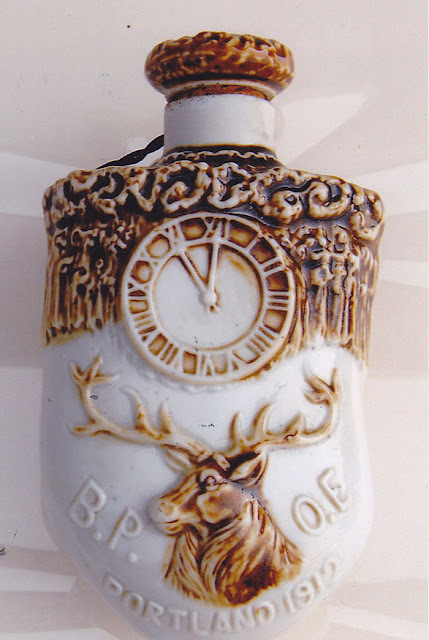 plus a scarce Lotus / BPOE flask from Portland. Thought I'd add this photo that arrived today (Sat. the 29th) Of the Fleck. A little fuzzy but Wow, just the same! Come join us for our 10th anniversary at the Seven Feathers Casino Resort in Canyonville! Huh? Well I'm from Oregon and I collect picture whiskies, among other things. I've got a number of whiskies with pictures of the California grizzly bear on them. 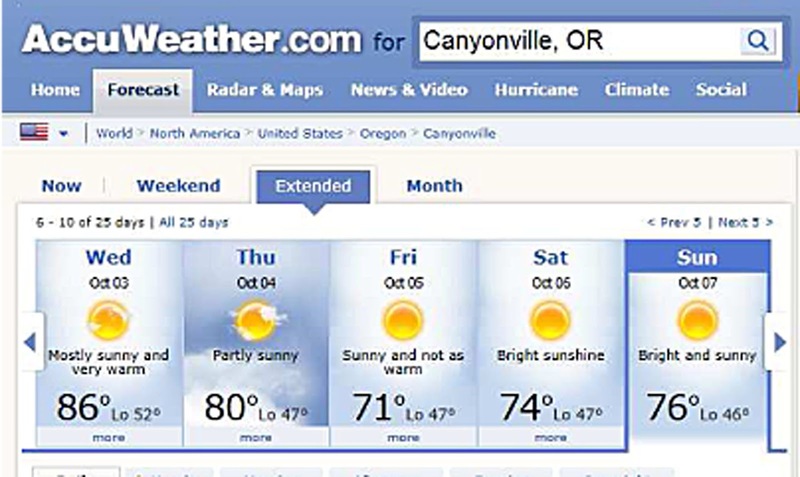 Oregon is the "Beaver State". You'd think that there would be a Beaver picture whiskey. About the closest thing to one though, is the Beaver Brand etched picture shot glass from Brunn & Co. out of Portland. This past weekend saw many of us trekking north on HiWay 49 to Downieville, where Rick and Cherry Simi once again hosted an amazing BBQ in conjunction with the annual show, located in the heart of the northern Gold Country of California. As always, the D'ville Show was fanatastic. I published an in depth article last year entitled "What's not to like?" It spelled out most everyone's feelings about the show and this year was a repeat of last. 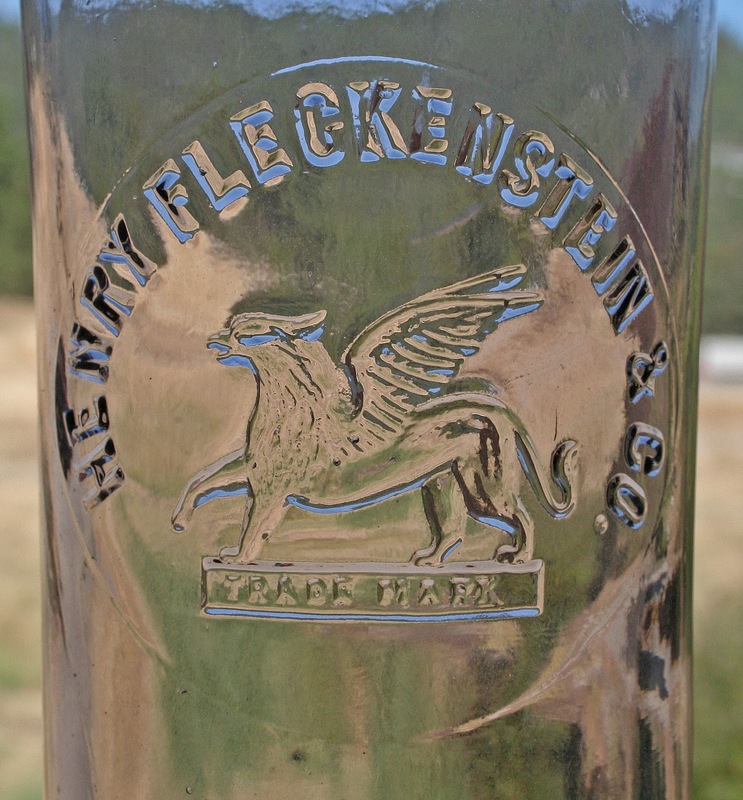 Bill Wilson, in his book Spirits Bottles of the Old West, documented the existence of a very scarce picture fifth cylinder, #68-5, embossed simply, "Henry Fleckenstein & Co. in an arch above a picture of a Griffin". 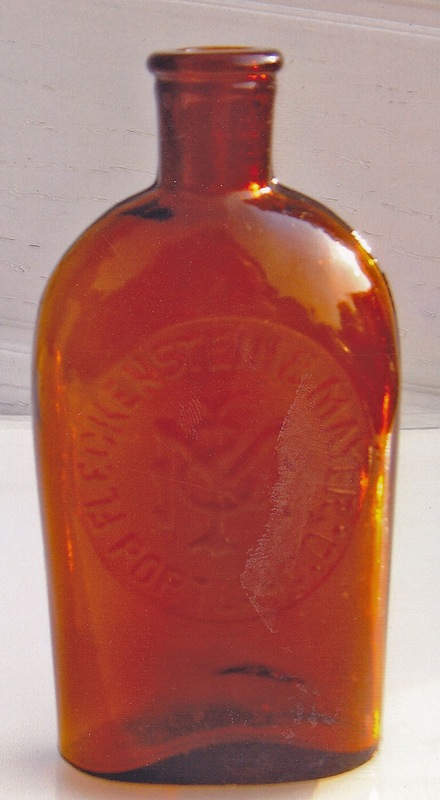 The bottle is clear, but will purple, and has a tooled long tapered collar over a single ring. 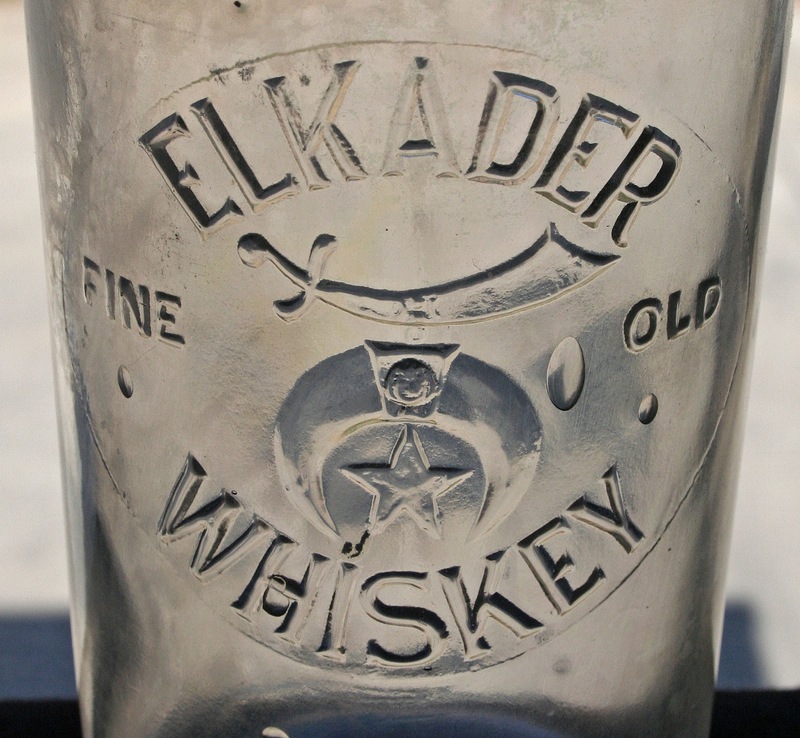 Wilson further went on to state that this bottle was distributed in the east, might be related to Fleckenstein & Meyer of Portland, and dated it ca. 1895 - 1905 and. And so, for decades, the bottle was assumed to be eastern and despite the rarity, was accorded little to no respect. It was about that time that I acquired another picture cylinder. It was embossed simply "El Kader / Fine Old / Whiskey", and pictured what was quite obviously the Shriners symbol. I placed the El Kader on the shelf next to the Henry Fleckenstein & Co. and noted that the bottle from the neck down and the slug plates were an exact match. Sure the neck was a little longer but that happens all the time. Coincidence? 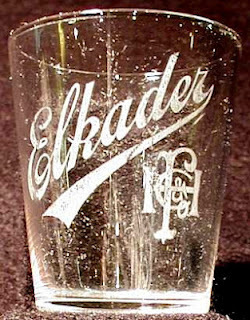 Both the El Kader and the "Griffin" cylinder are rare, with probably no more than a half dozen of each in collections. But proving that they were truly western whiskies and linking them positively to a liquor dealer would prove daunting to say the least. Life is full of assumptions, maybes, gut feelings and suppositions. But, without solid proof in the form of advertising, a bill head or a letter, my hunch remained just that. Up until a few years ago, I never paid any attention to pre-pro shot glasses. That changed in an instant when I purchased a huge collection of western pre-pro glasses, which included well over 100 examples. And with that purchase came the opportunity to connect the dots to a lot of western whiskey mysteries. Those little advertising gems have proved to be an amazing source of information; including clearing up the El Kader mystery. When I returned home this week, I thought it would be interesting to dig a little deeper into Mr. Fleckenstein and see what relationship he had to the firm of Fleckenstein & Meyer. I lucked out and actually gained access to the who's who of pre 1900 Portland Oregon. At the age of 16 years he was apprenticed in the brewing business He mastered the business, after which he came to this country, landing in New York in 1860. 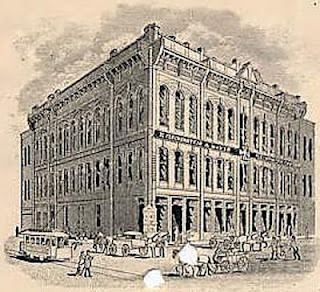 Until 1863 he worked at his trade in St. Louis, also a brewing head- quarters after which, in May, he returned to New York, later going to Aspinwall and thence crossing the Isthmus, arriving in San Francisco in 1863. He later went to Honolulu, but the climate failed to agree with him. 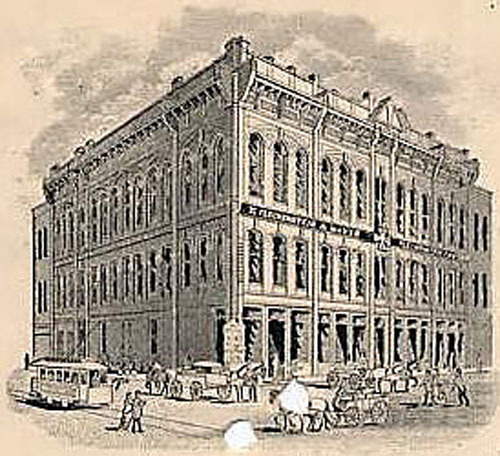 Returning to San Francisco, he moved north at the end of a month to Portland in 1863 where he was employed for a year or more in the Weinhard brewery in Portland as a foreman, after which he started a bottling works in the fall of 1866. He abandoned that ambition a year later and engaged in the wholesale liquor business, in which he remained up to the time of his death. 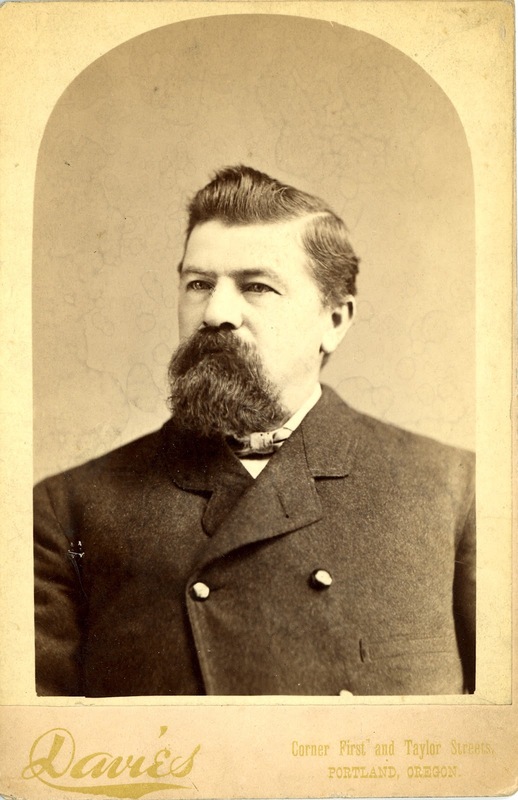 It was in 1867 that he was married to Christine Wittman, a daughter of Nicholas Wittman. 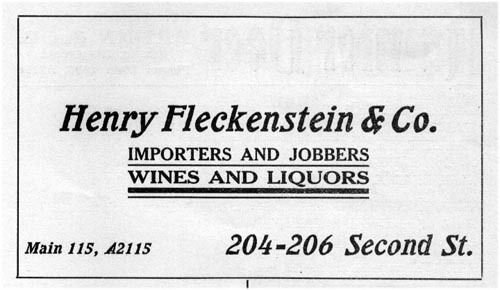 The firm name for many years was Fleckenstein & Mayer. He was the senior member of this wholesale liquor firm until March 4, 1902, when he dissolved partnership and organized the firm of Henry Fleckenstein & Co. at 122 Second street On April 1, 1902. 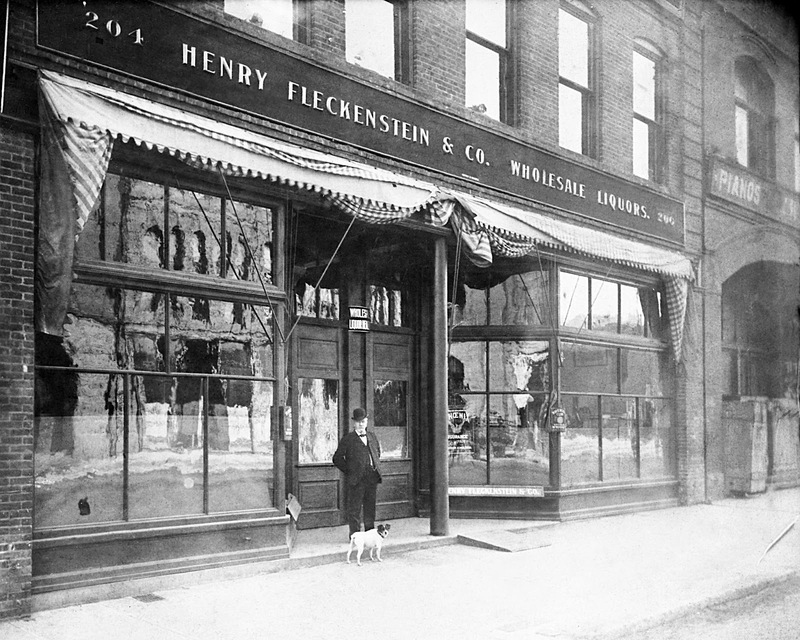 Mr. Fleckenstein supplied a constantly increasing trade in Oregon and other states. He was prominent in both business and official circles. 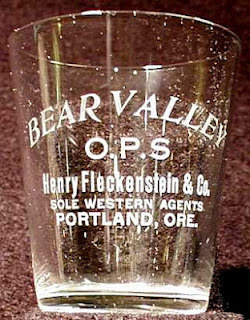 Brands marketed by Henry Fleckenstein & Co. after 1902 included; "Elk Tooth", "High and Dry", and "Belle of the Pacific", as well as the aforementioned Bear Valley and El Kader. Documented addresses included 235 Oak (1903-1906), 68-72 2 nd (1907-1915). In addition, 204 - 206 Second St. was recently added to the list thanks to the business card above and the following photograph. Henry Fleckenstein died of heart failure on July 5, 1910; he was 72 years old. At the time of his death, he was an exempt fireman, a member of the Elks, A.O.U.W. and the I.O.O.F. and also of the Chamber of Commerce and the Commercial Club. 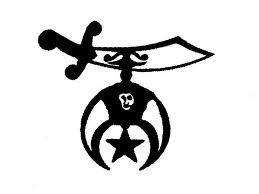 The Ancient Order of the Nobles of the Mystic Shrine was founded in 1872 by a group of 13 men belonging to the Masonic Order. It was originally established to provide fun and fellowship for its members. Al Kader was the 46th charter and the first in the Pacific Northwest. It was originally located in the City of Portland. 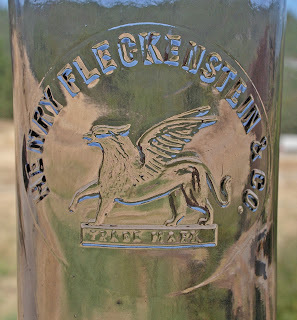 In closing I'd like to say that we have Henry Fleckenstein to thank for some of the most desirable of the Oregon glop top cylinders and early flasks, in the form of the Fleckenstein & Meyer bottles, as well as two of the scarcest tool top western picture whiskies.